Patterns are everywhere or so it seems. 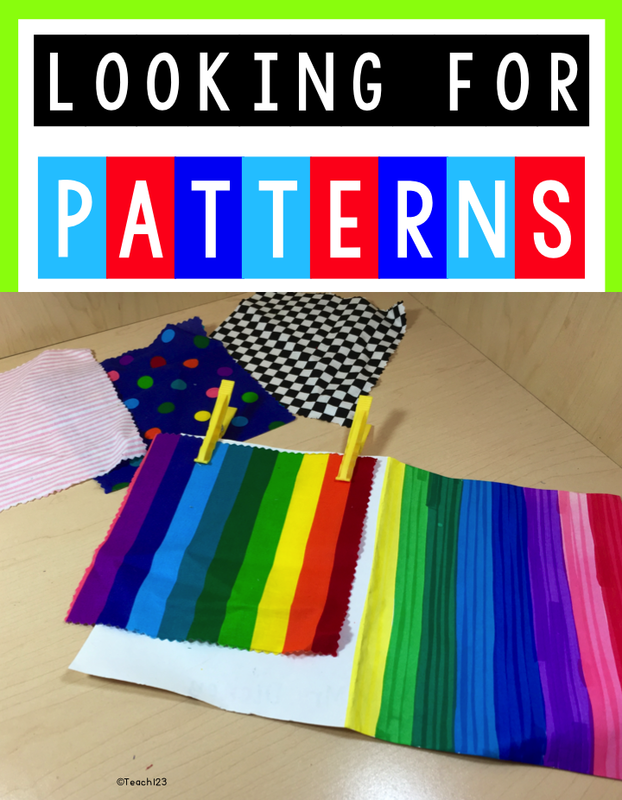 Patterns was one of my favorite lessons because I would often see my students making patterns in other creative ways. I’ve had students arrange their crayons in patterns before they would begin working on an assignment. Another student arranged magnetic letters on a board in a pattern. He told another student it was an eye test and he was the eye doctor. He told his friend he needed to stand a little bit away from him and read the letters. Great way to practice letter identification and patterns at the same time! Patterns in words, word families or chunks, are an important part of reading. Students love of patterns make this an effective reading strategy. I was always looking for some new idea or activity to use. The picture at the top was one my students enjoyed. It is opened-ended which I liked. I cut fabric in 6″ X 6″ squares. You can find remnants of fabric at Wal-Mart or fabric stores for a few dollars. Or you can ask your parents for donations. I cut white construction paper 12″ X 6″ and folded it in half. 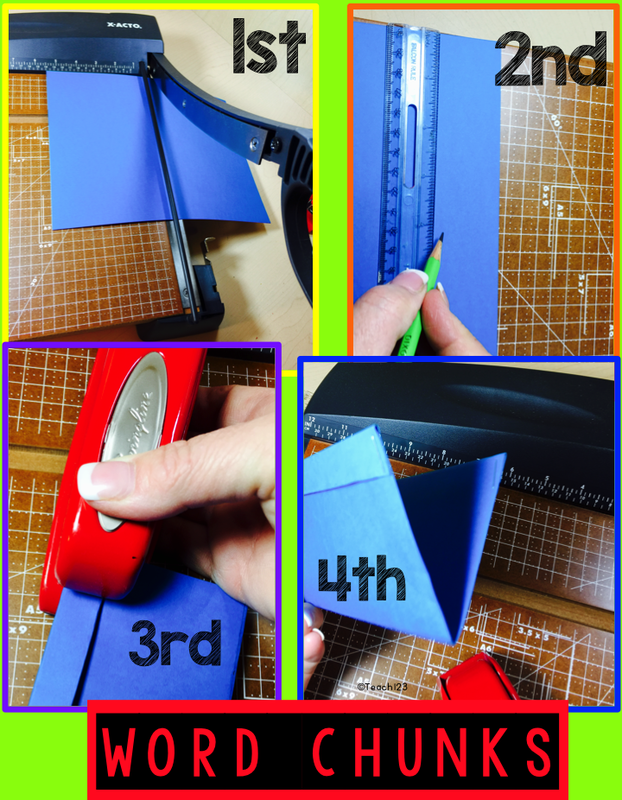 Students would choose a fabric square and clip it to the left side of the construction paper (opened up). They would repeat the pattern on fabric on the right half of the paper. Unclip the fabric and fold the paper in half. The colorful half is the cover of the card/assignment, open and write _____ (open-ended assignment). Sometimes I had them write words from the word family that we were studying. Other times I had them look in a book to see how many words that included our word family that they could find. They wrote those in this. During small group, magnetic letters are a great way to demonstrate word families. The only issue I had with this was a lack of supplies at some of my schools. This was my solution to not having enough magnetic letters. I don’t know its official name. My students called it “the hotdog game” because when you picked it up and turned it upside down it looked like a hotdog bun. I was comfortable sending it home for homework for additional practice. I cut out different colors for vowels than consonants. Many times magnetic letters come in a variety of colors. These are a little time consuming to make. I would recommend finding a parent volunteer to make a class set if that is your plan. 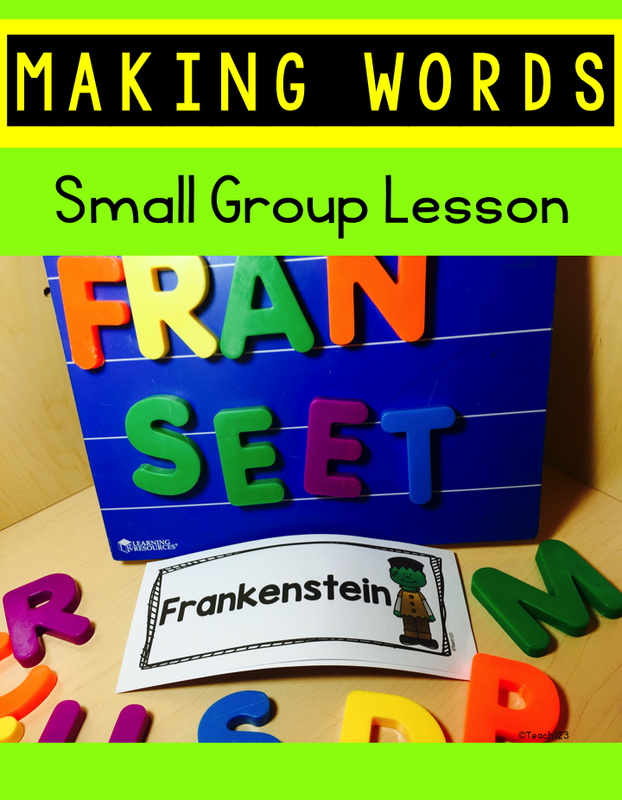 If you only need enough for a small group lesson then you can easily do those. You can either use file folders or cardstock. I cut my cardstock in half. Two hotdog games per sheet of cardstock. Fold it in half. Fold and staple on the end to make the pocket for the letters. 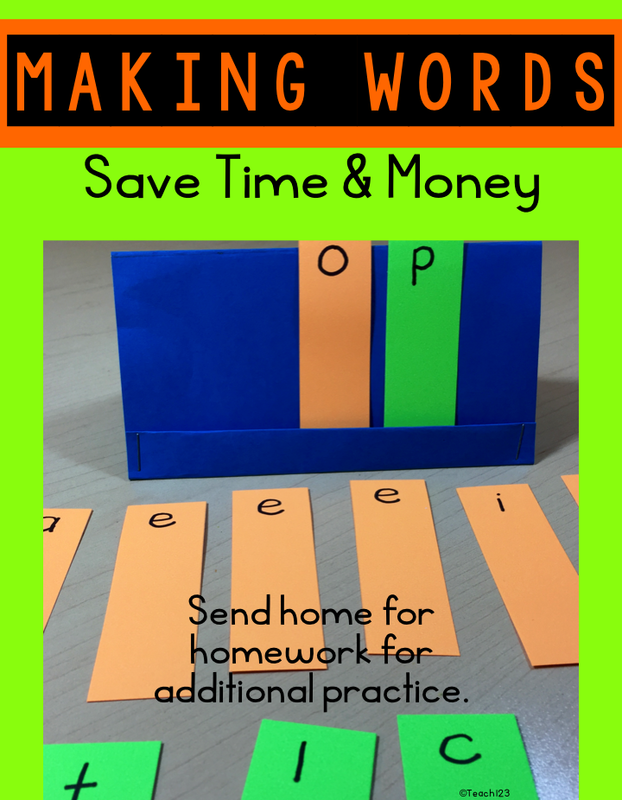 It helps to give students extra practice after their small group lesson. The making words assignment in the picture is a perfect activity for this. After looking for chunks in the word at the bottom of the page, they cut the letters apart. 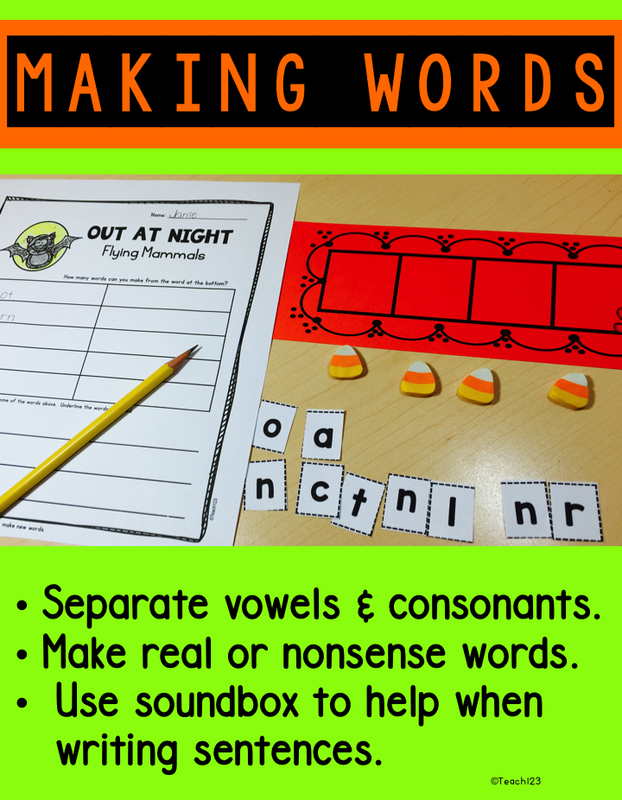 I tell students to separate the vowels and consonants because every word has a vowel. Then take one vowel and try to make as many words as possible with it. Later they can put the vowels together. 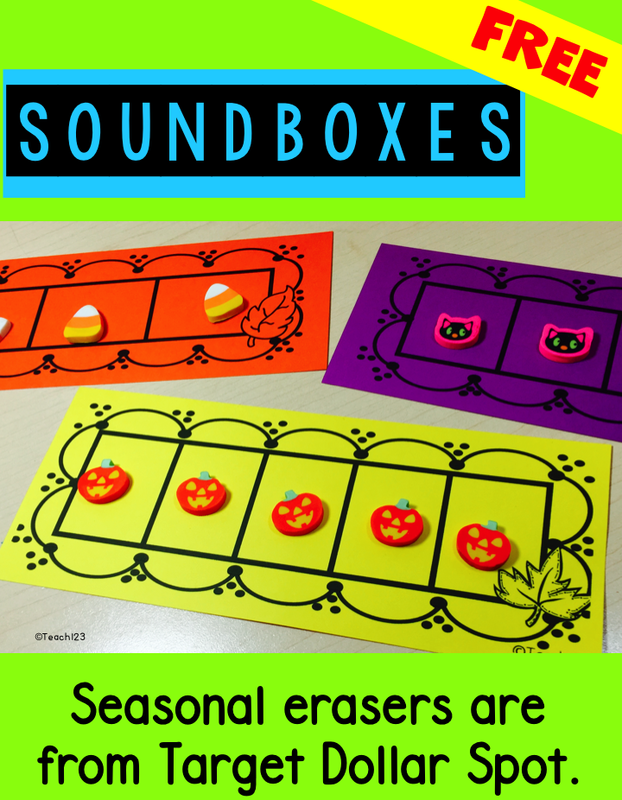 The seasonal soundboxes are a freebie. I found the erasers at Target’s Dollar Spot. 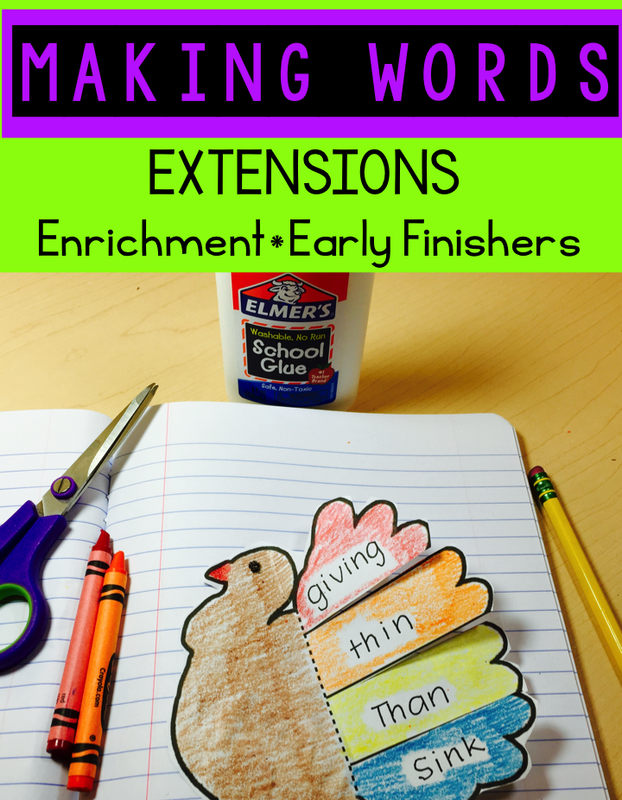 There are also other assignments with the making words file that you can use for enrichment or with your early finishers. Are resources limited at your school? One of my favorite places to find resources are thrift stores. Many times you can repurpose “treasures” you find there. The scribbage game in the picture is from 1963. It cost $1.99. Scrabble Jr. was $2.99 and the Letter Symbol Tiles was $1.99. All great deals that have a variety of uses. 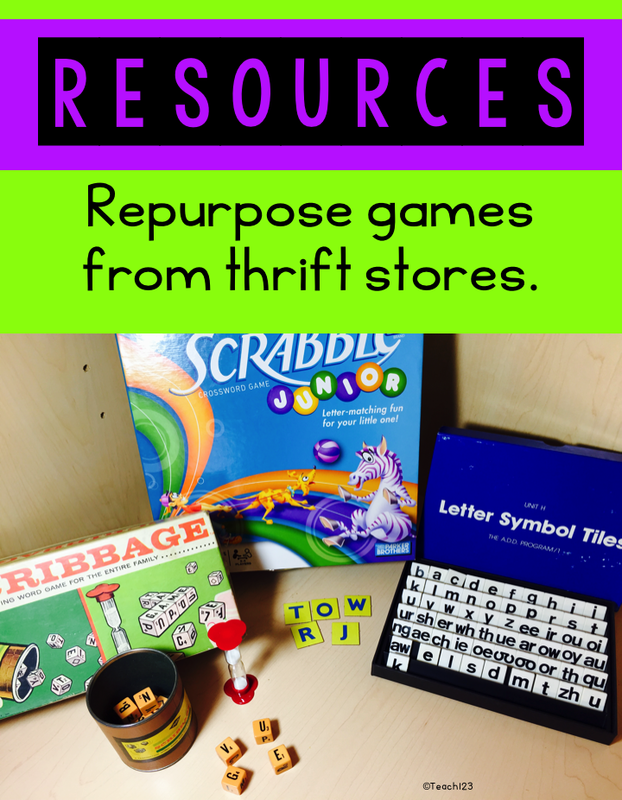 Have you found any treasures at a thrift store? « Inside Recess, Shelter In Place, and other times stuck inside.